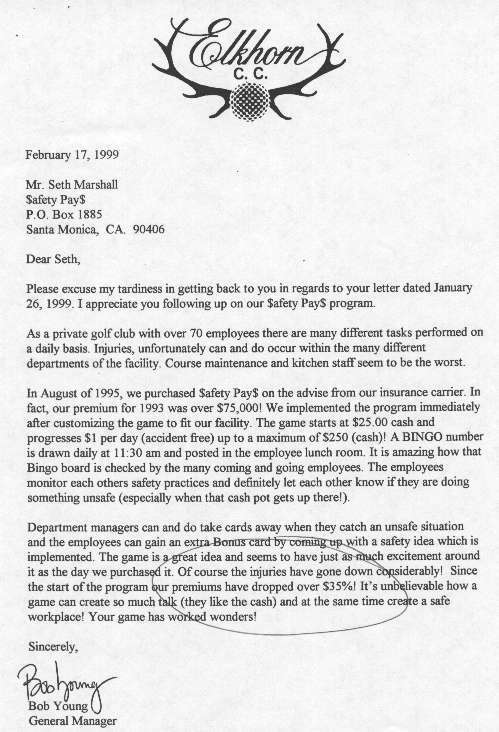 Our Clients Say It Best — from A to Z! 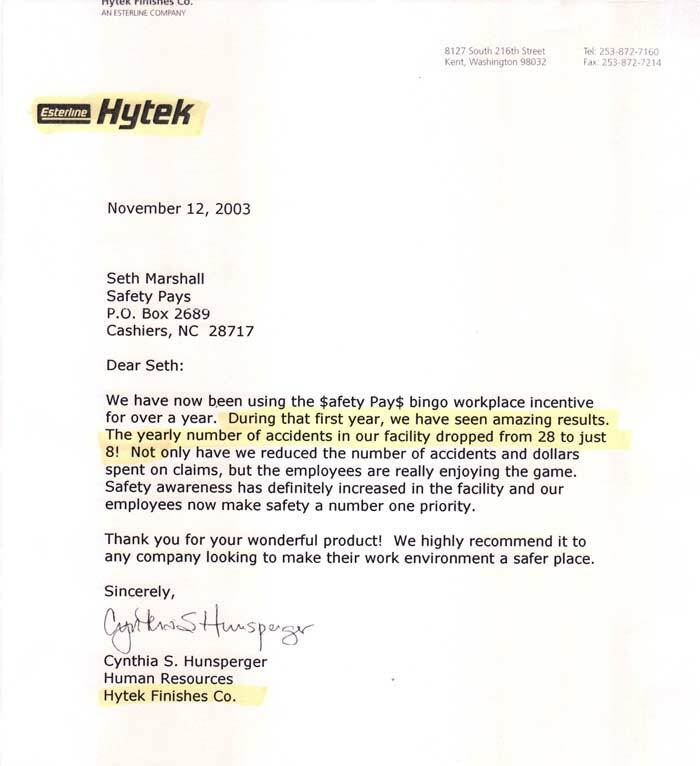 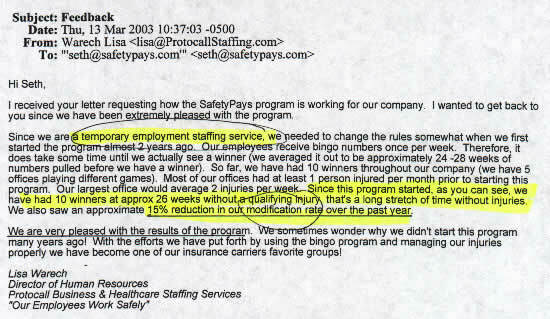 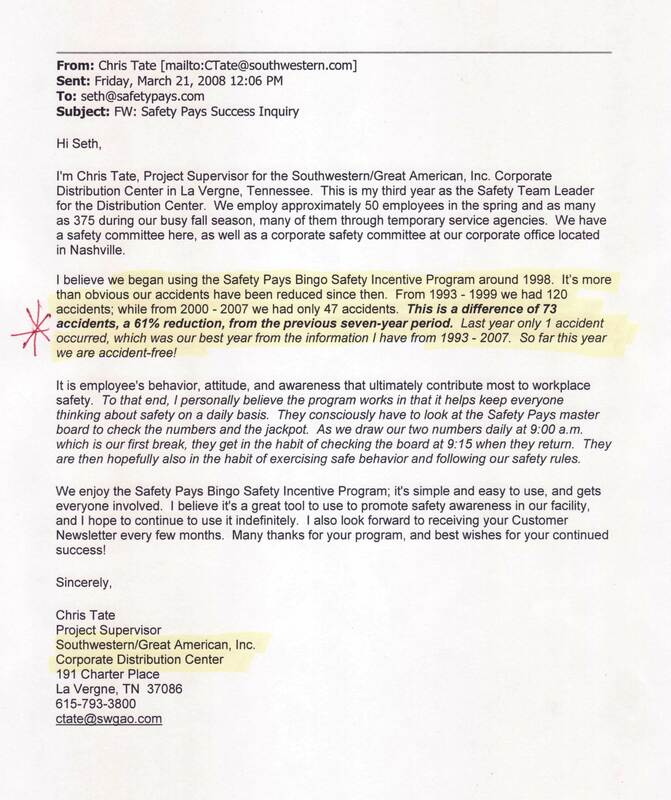 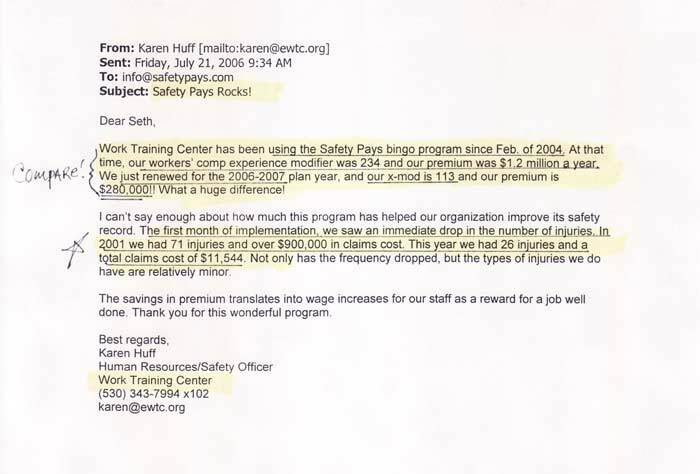 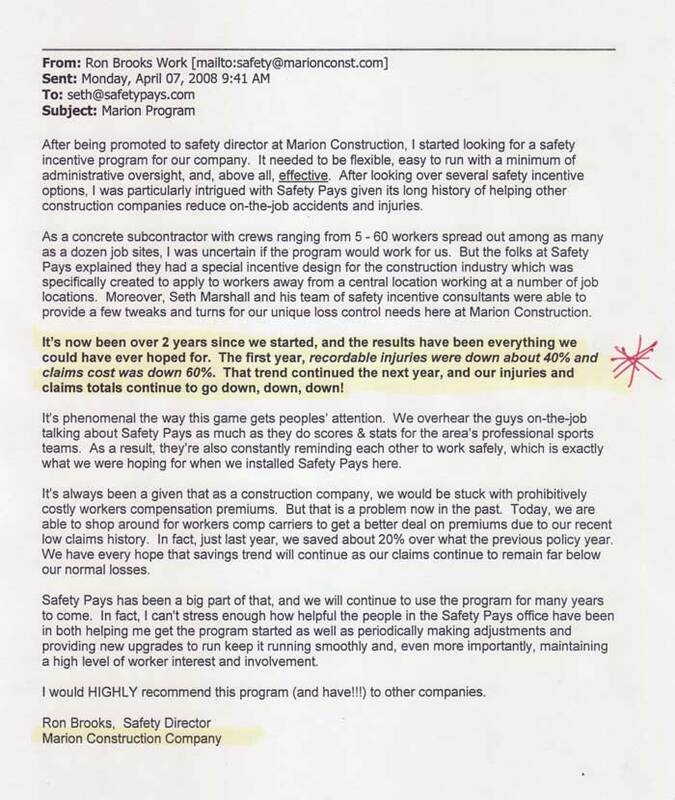 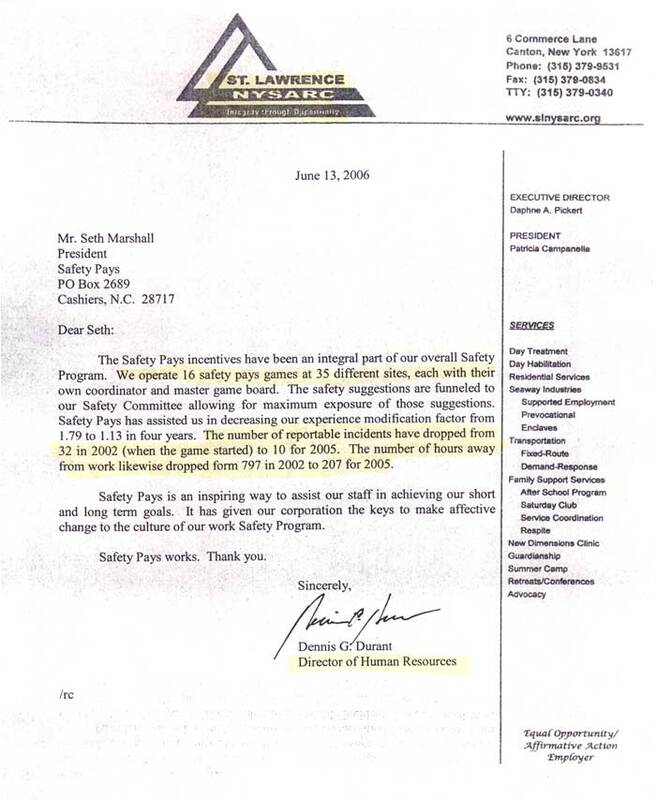 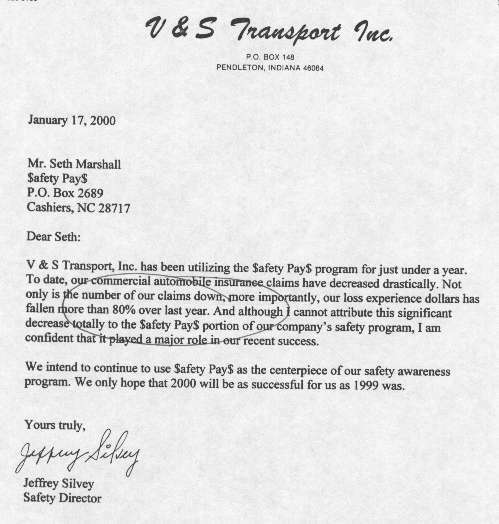 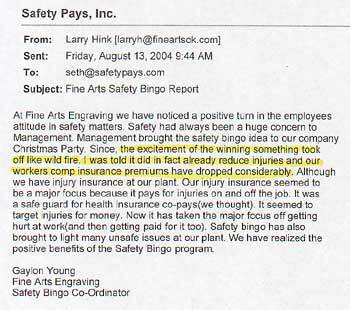 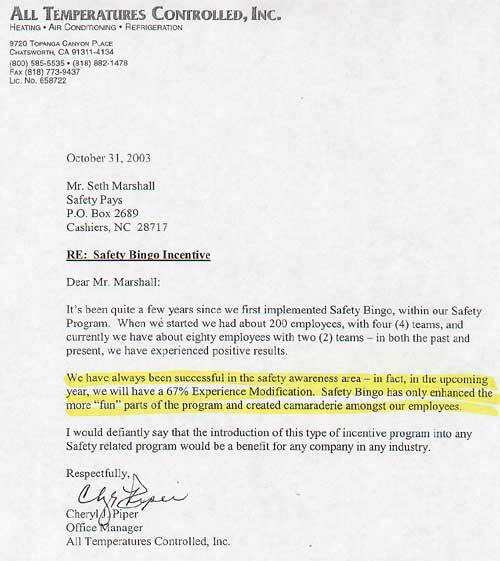 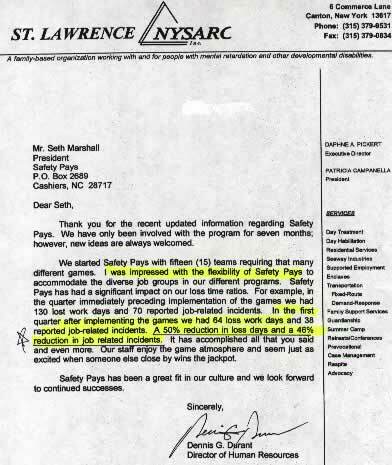 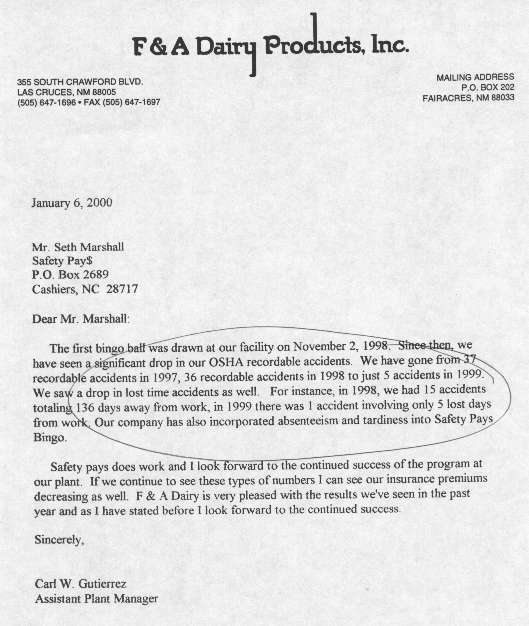 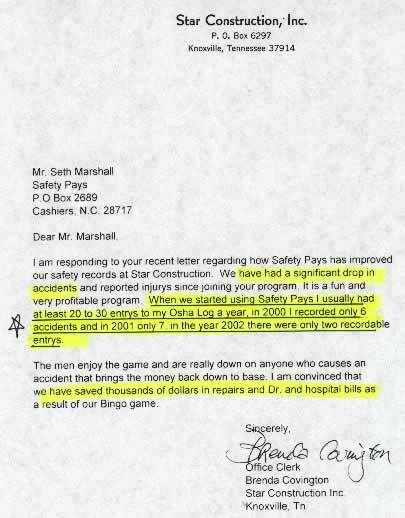 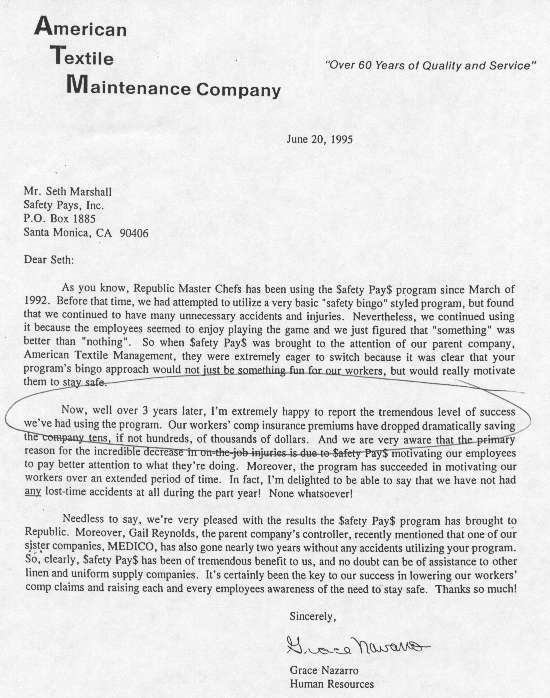 For nearly three decades, Safety Pays’ claim to fame is that with nearly 10,000 client companies, customers average a 50% reduction in losses during the first year after Safety Pays implementation. 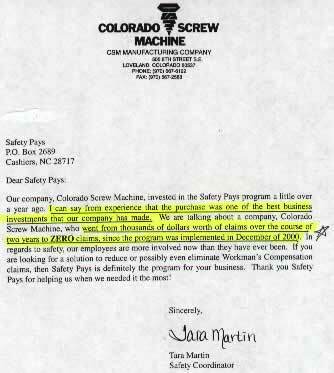 This has been verified repeatedly by businesses from virtually every commercial and industrial sector throughout the United States. 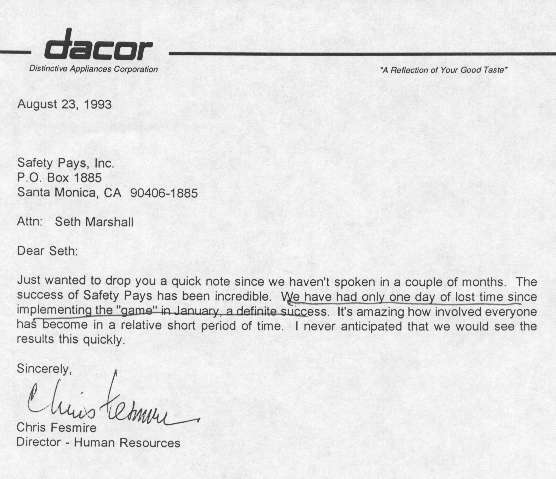 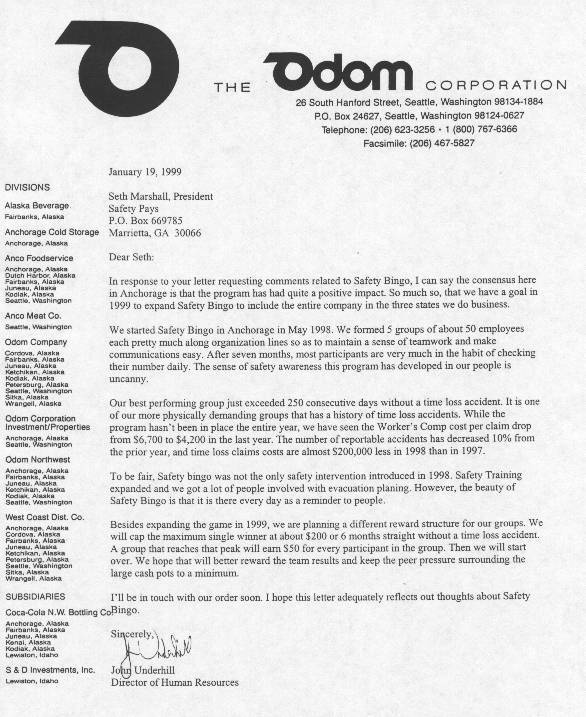 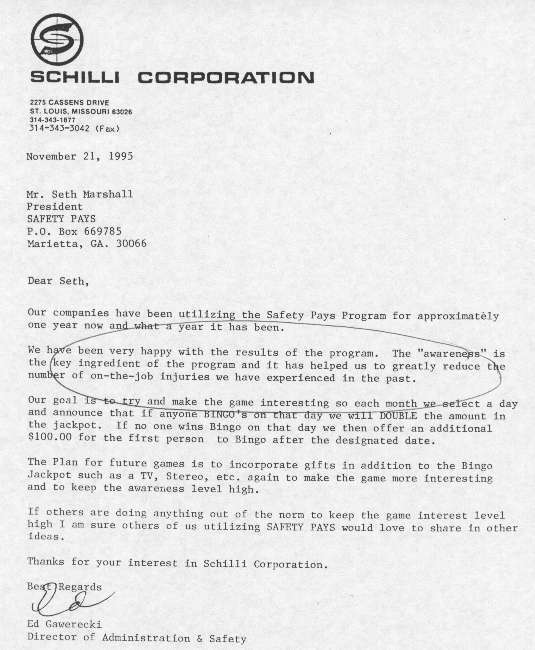 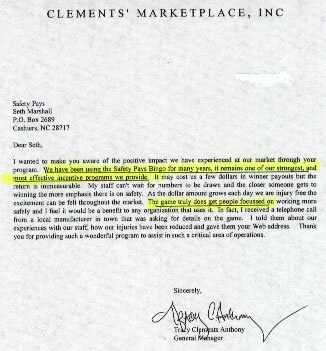 The following testimonials provide only a partial list of the many success stories companies have experienced over the years. 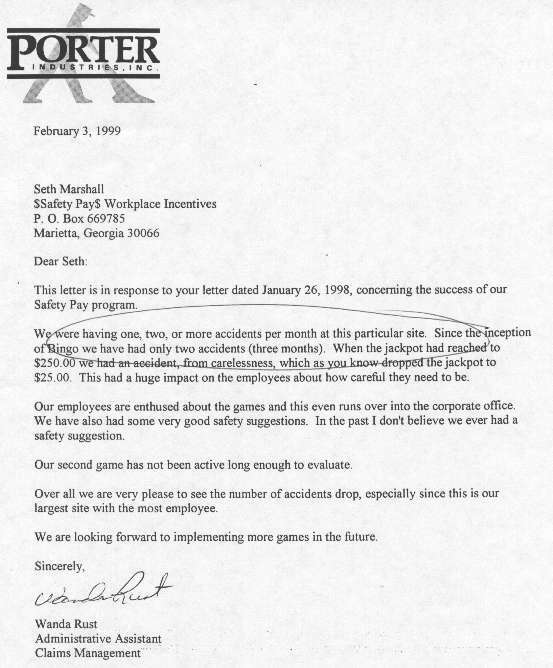 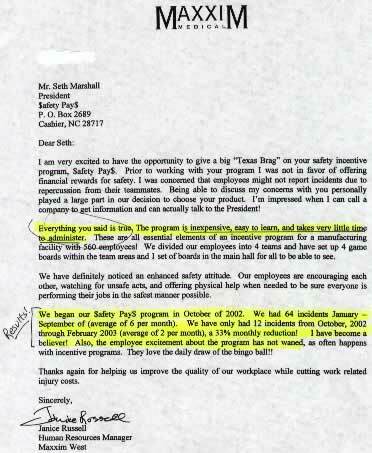 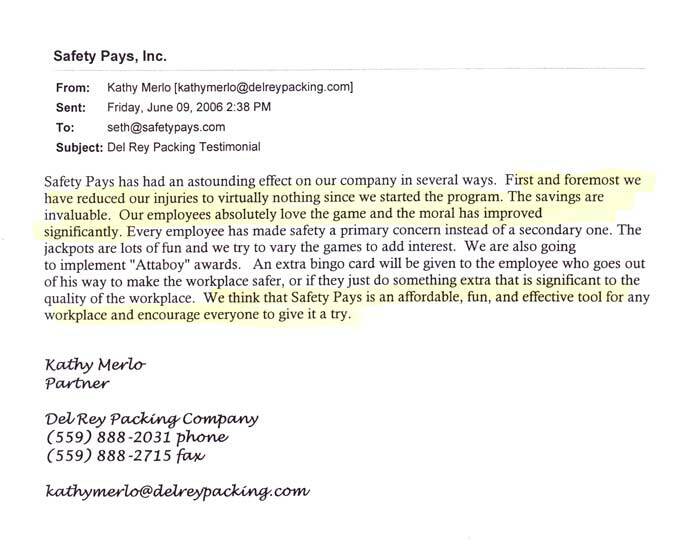 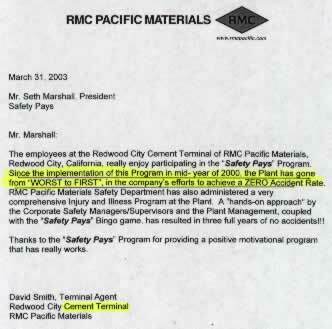 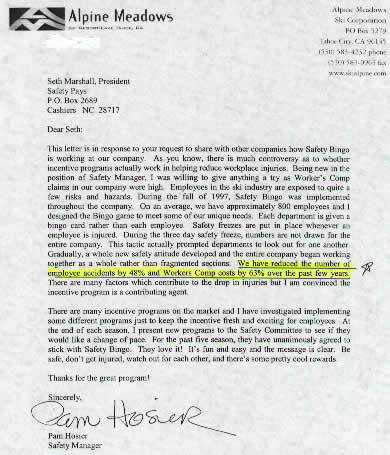 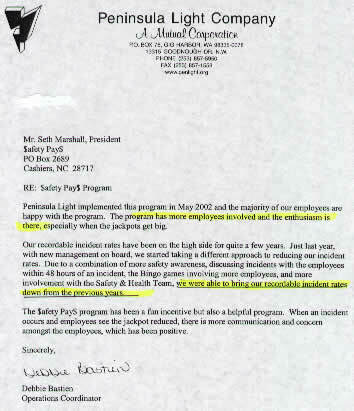 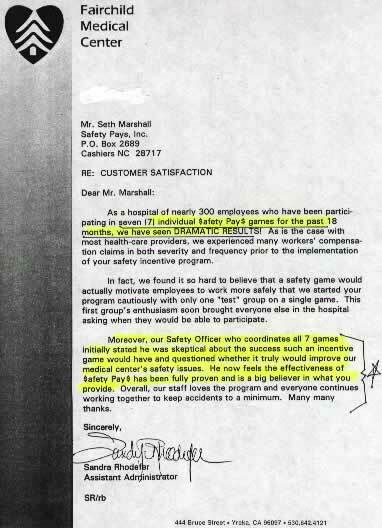 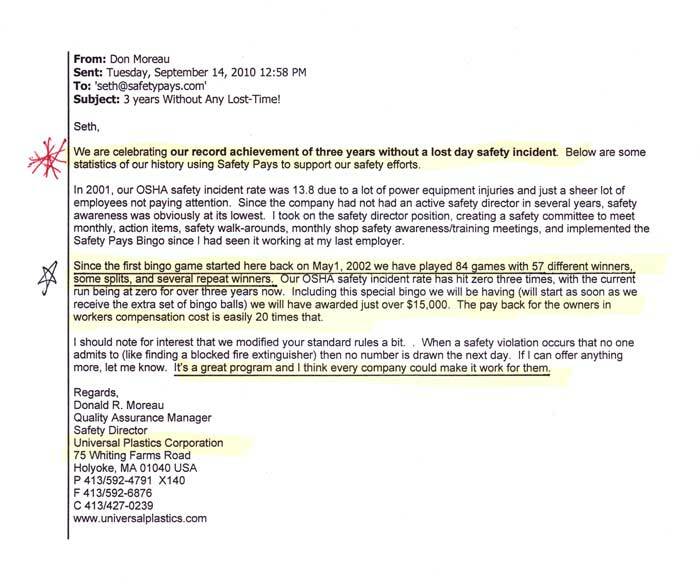 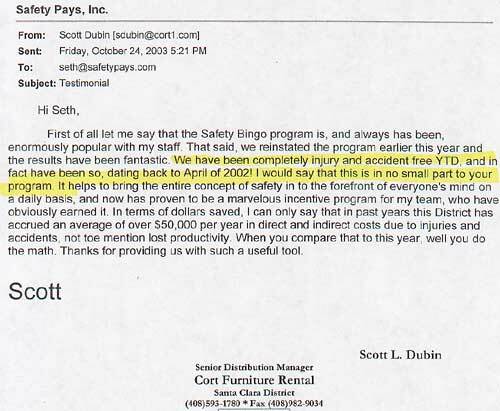 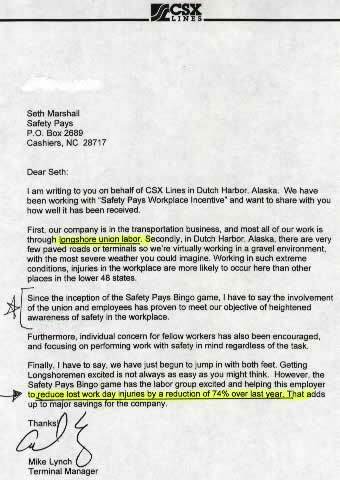 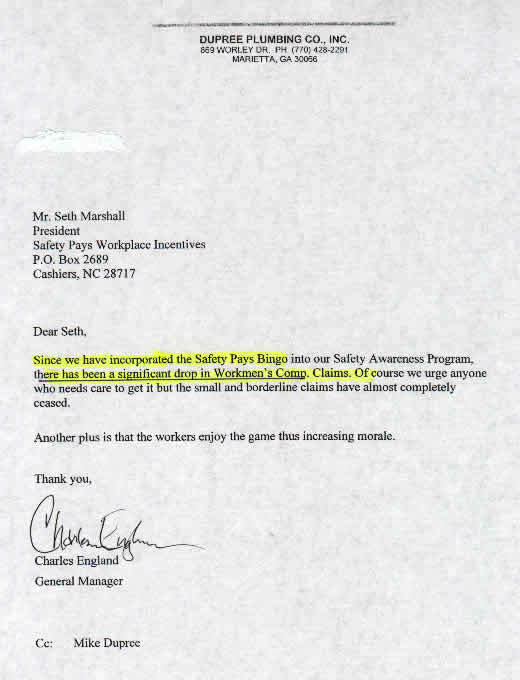 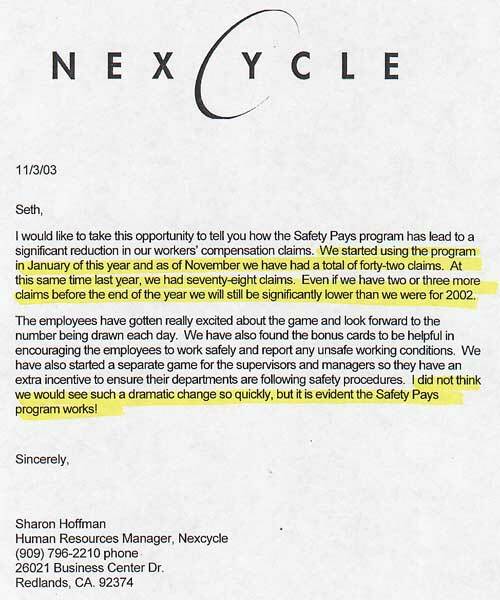 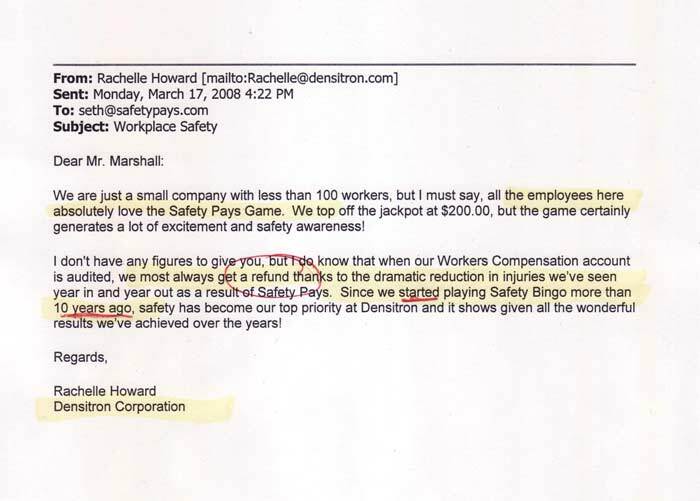 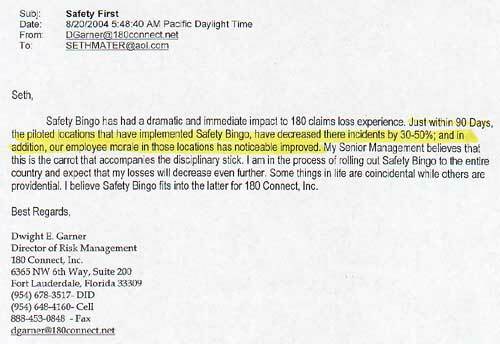 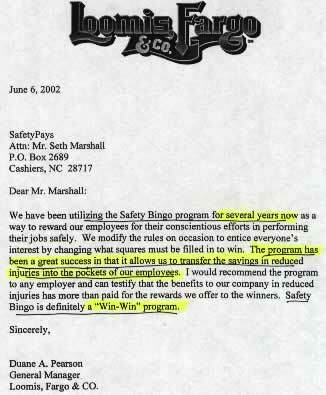 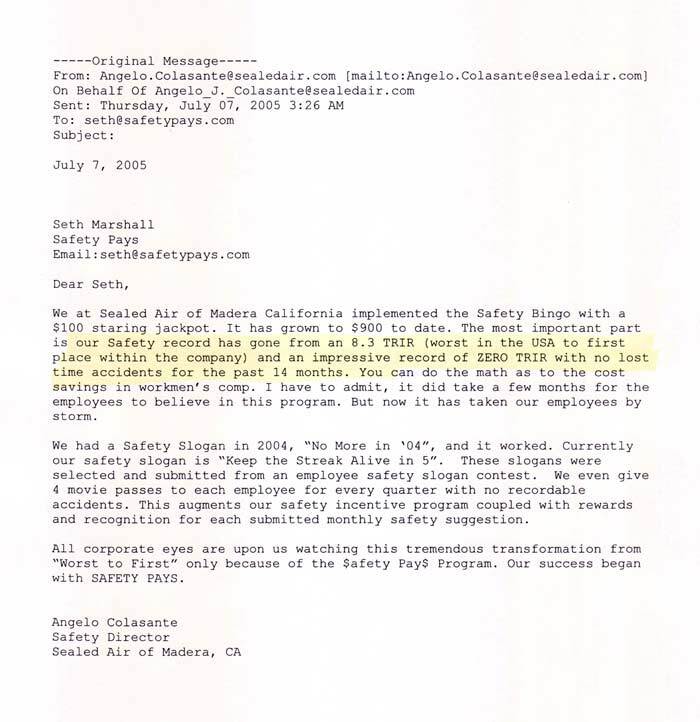 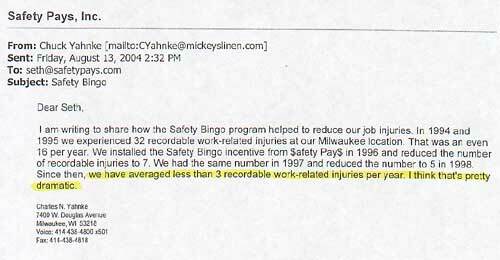 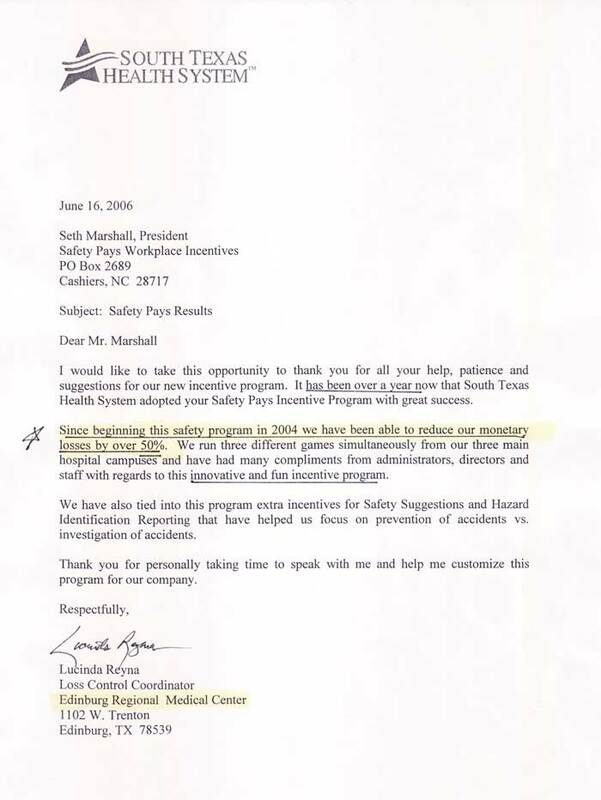 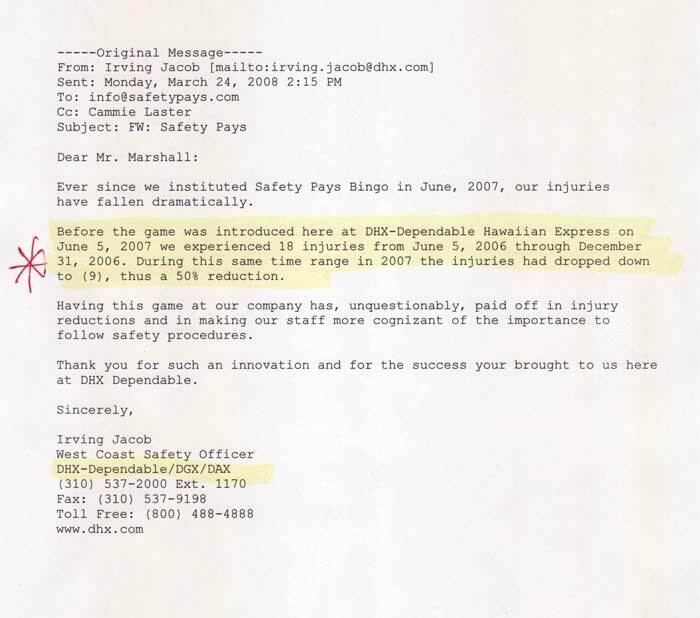 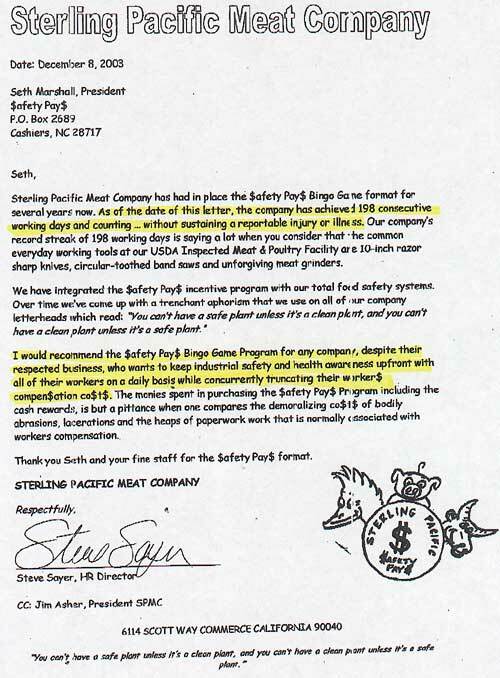 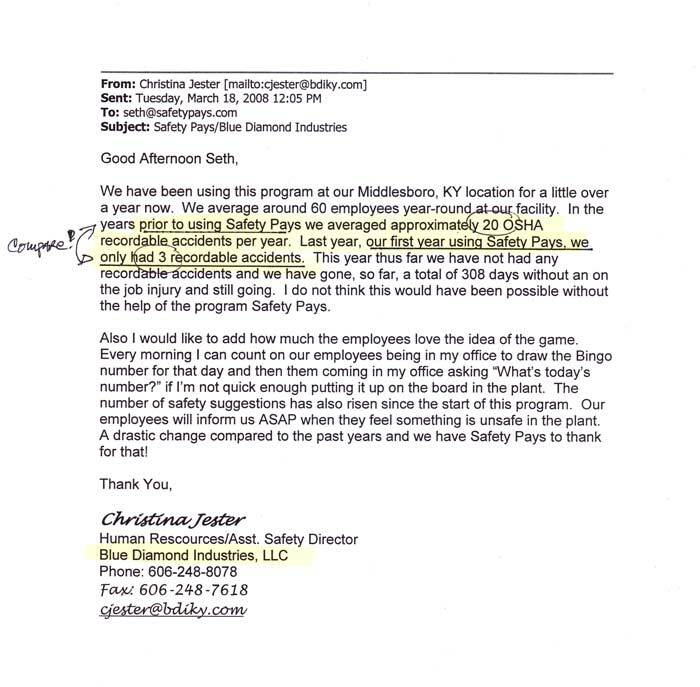 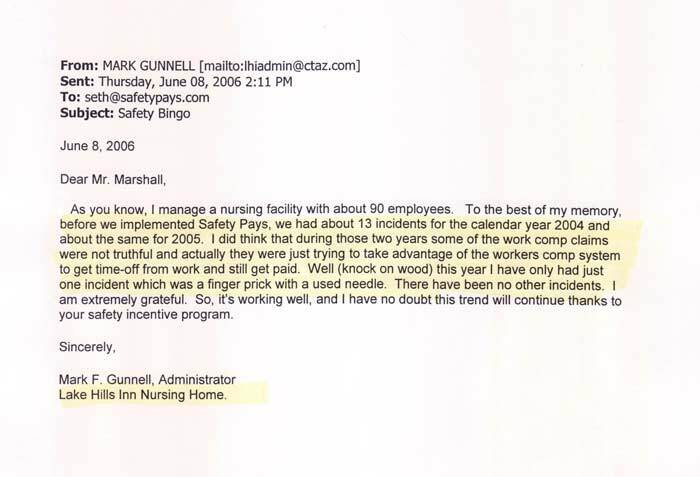 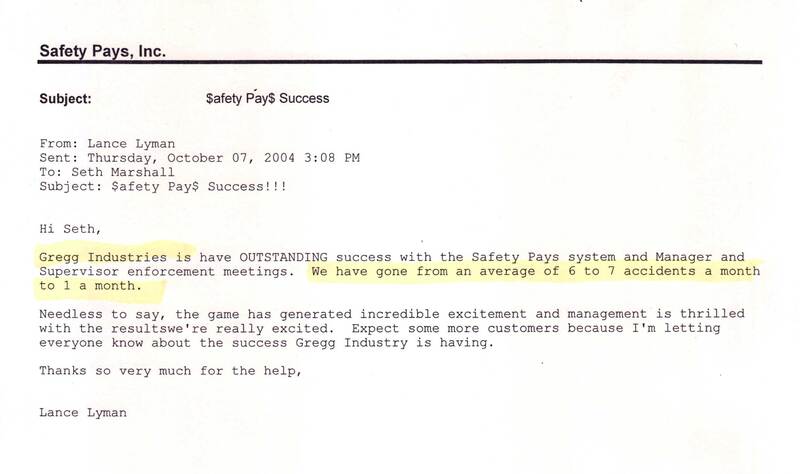 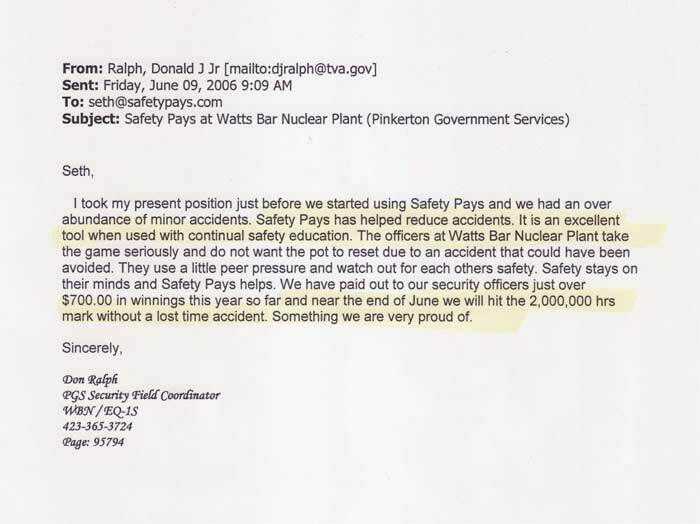 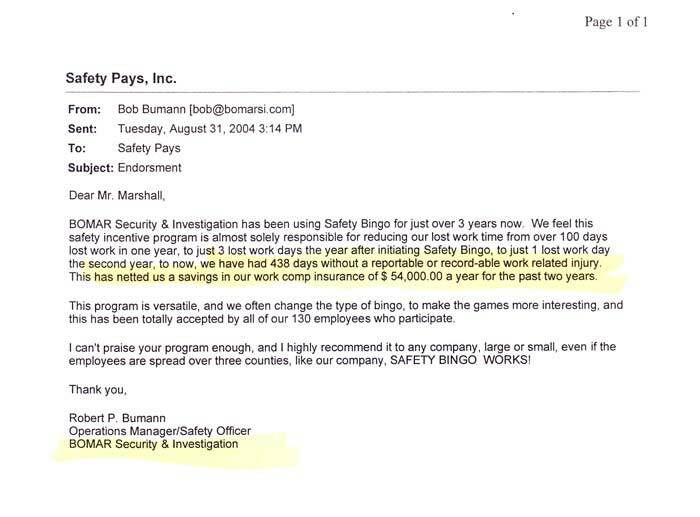 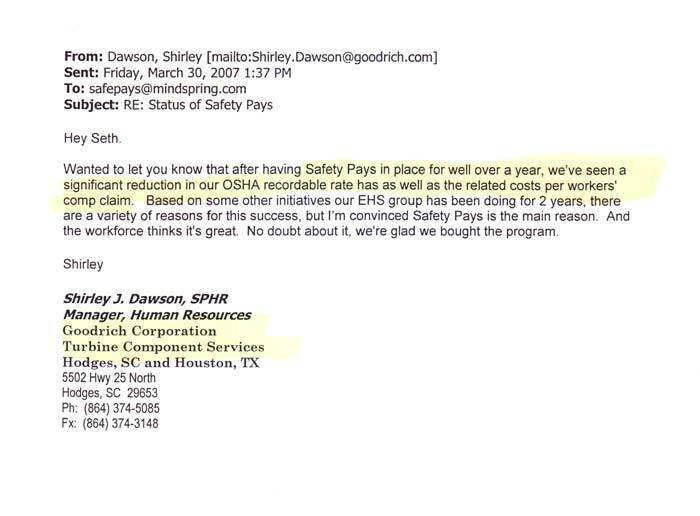 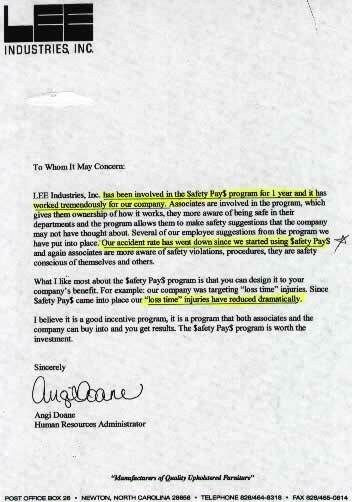 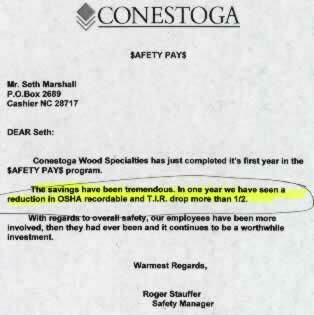 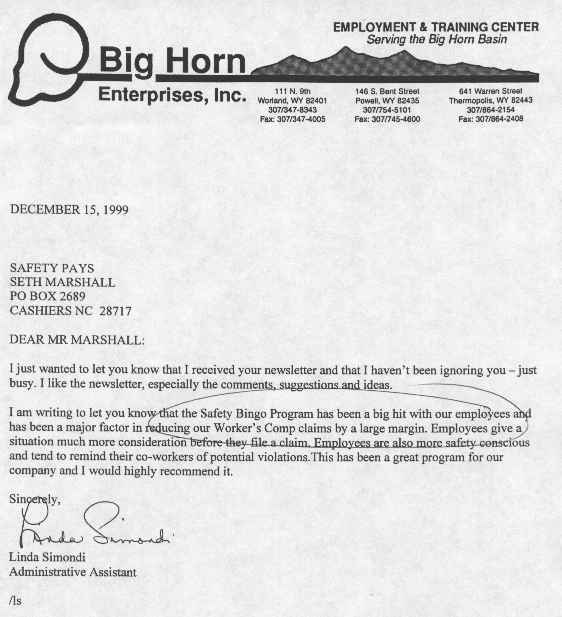 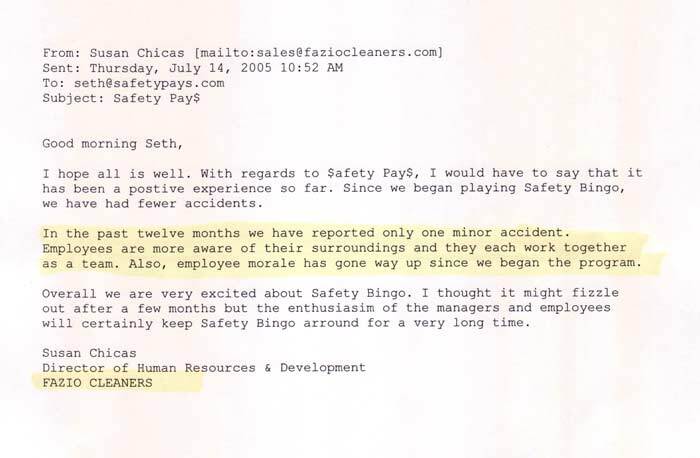 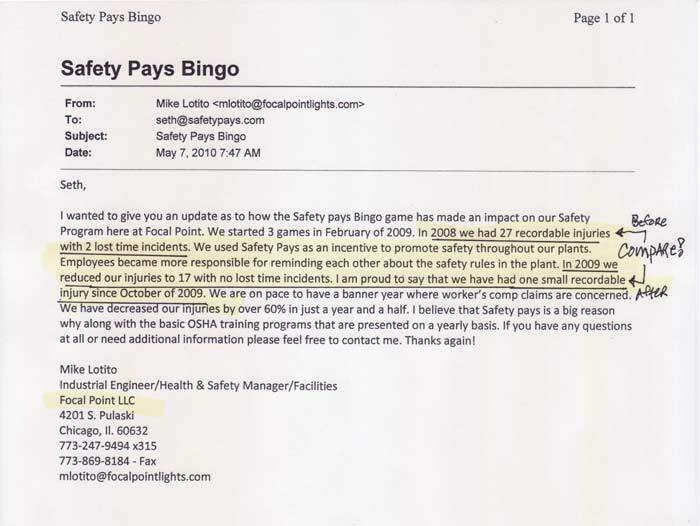 “We averaged 13 incidents annually for the two year period before starting Safety Pays. 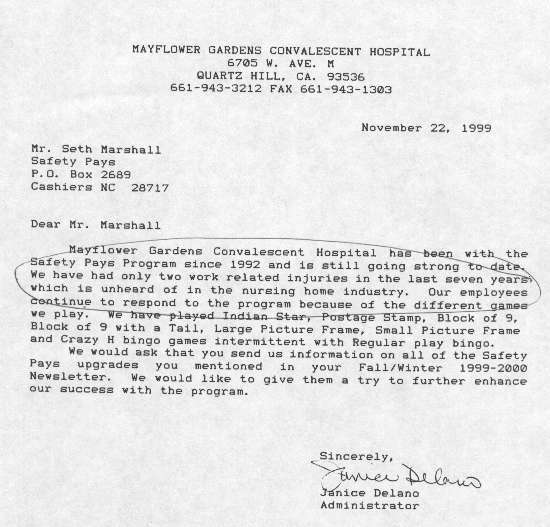 During the first year using the game, we’ve only had one incident which was strictly a need prick. 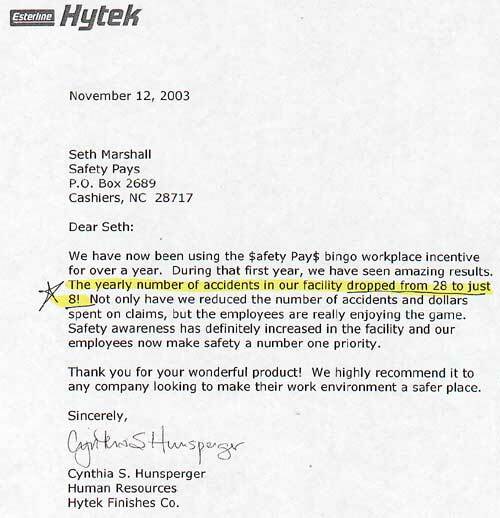 Not bad!